This necklace rests beautifully on the neck. 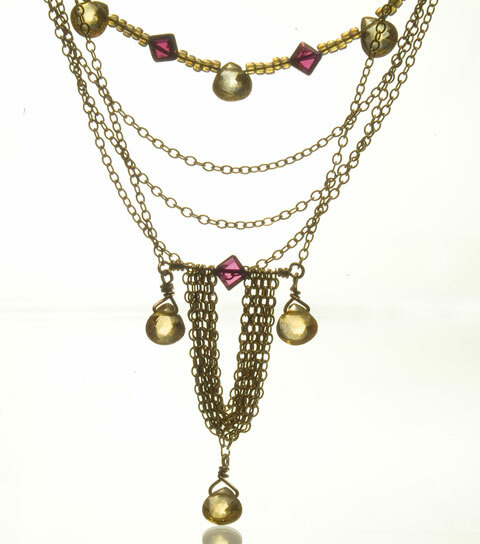 It’s varied lengths drape and suspend citrine teardrops and diamond shape garnet beads. The citrine catches the light through it’s beautiful facets . the color combination is breathtaking! Make a statement with this beauty.